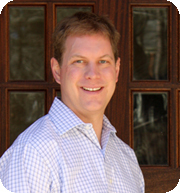 Mike is a native of Atlanta and has more than 20 years of experience in the Atlanta homebuilding market. He has built over 500 homes throughout Atlanta and his knowledge spans a diverse spectrum of products, ranging from production-built homes to million dollar plus custom homes. 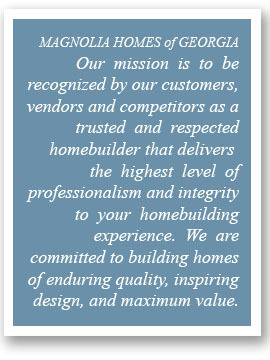 Prior to establishing Magnolia Homes of Georgia, Mike worked for Centex Homes in various field roles, including the Atlanta West Area Construction Manager and with Robert Harris Homes as a Project Manager in the Custom Homes Division. These experiences provided Mike with valuable insight concerning the issues facing homebuilders and homeowners today. Mike has earned a reputation for quality craftsmanship, innovative construction, and a hands-on approach to project management and customer service. Mike earned a Bachelor of Business Administration from Georgia State University and Masters Studies at Memphis State University. 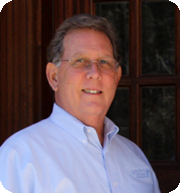 His professional certifications include International Residential Code Certification, NPDES Certified with a Level 1A certification, and he holds a Residential General Contractor License. Corbin is responsible for overseeing the strategic direction of the company related to construction finance, product development, and analysis for land acquisition. Prior to joining Magnolia Homes of Georgia, Corbin spent 11 years at Deloitte & Touche LLP, where he was a Senior Manager within their Atlanta audit assurance and advisory services group. He has significant experience with public company accounting and SEC filings, focusing primarily on the homebuilding industry. At Deloitte he served and consulted with a number of top ten public homebuilders and had exposure to multiple homebuilding markets and operations across the United States. Corbin holds a Bachelor in Business Administration in Accounting from Auburn University and is a licensed Certified Public Accountant in the state of Georgia. His professional memberships include: Georgia Society of Certified Public Accountants (GSCPA), American Institute of Certified Public Accountants (AICPA), National Association of Real Estate Investment Trusts (NAREIT), and the Urban Land Institute (ULI).